Throughout the Irish summer, we’re spoilt for choice with regards to music and food festivals. But what about something a little more offbeat? If you’re looking for unusual festivals to visit over the remainder of your summer, then look no further than the green fields of home. Claimed as Ireland’s oldest festival, Puck Fair (pictured above) is running some 400 years and to the outside eye, could understandably seem quite strange. The pivotal activity takes place, after all, when local villagers go up into the mountains and catch a wild goat. The goat is brought back to the town and the “Queen of Puck” (a young girl crowned at the fair) crowns the goat “King Puck”. The origin of this historic three-day event is said to be related to the wild puck or male goat who alerted villagers of the arrival of Oliver Cromwell in the 17th century. Festival highlights include music, ceili dancing and plenty of craic. This quirky festival is now in its fifth year and growing as one of the highlights of summer events in Co. Laois. Festival highlights include an outdoor market, arts and crafts exhibition, hurley-making demonstration and a teen zone compromising of events like zumba and hair workshops. 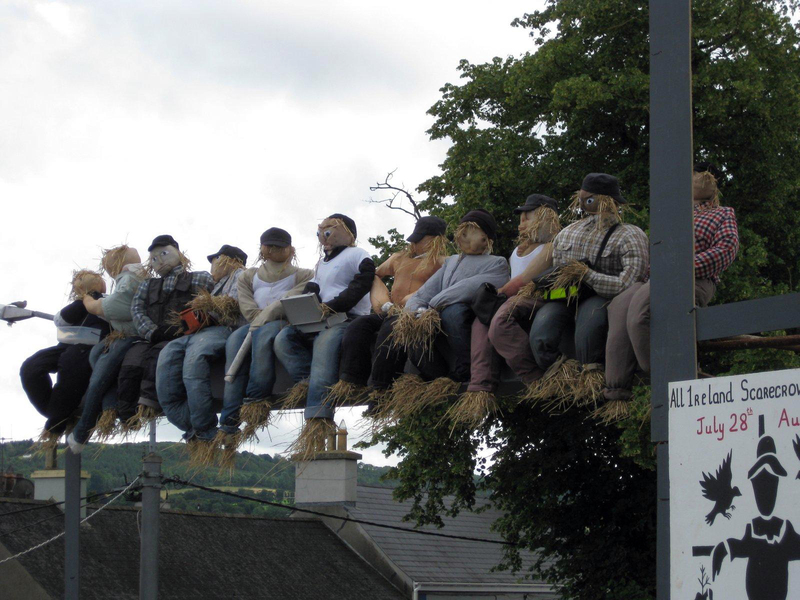 The main event is of course the All Ireland Scarecrow Championships, where over 120 scarecrows from the four corners of Ireland and further afield compete to win the top prize of €3,000. The program of events is packed with lovely and lively activities to keep both kids and adults entertained. Thinking of visiting Northern Ireland? Even if you have little interest in aeroplanes or aerospace, you’ll be intrigued by the B/E Aerospace Festival of Flight 2014. 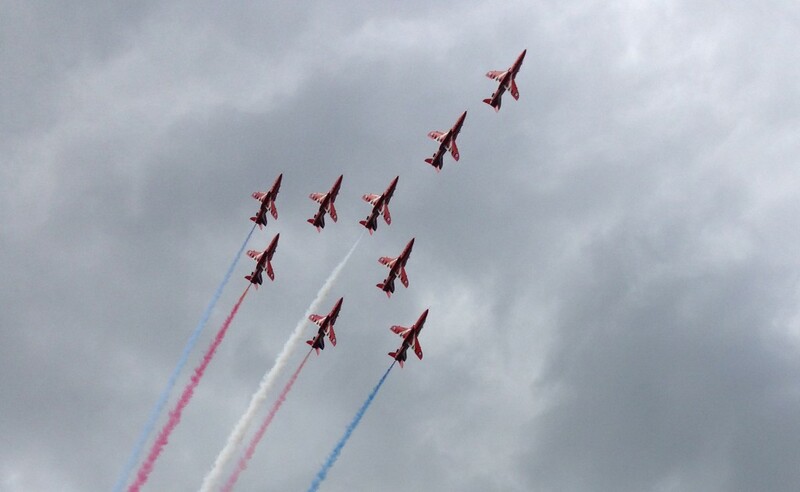 The air show takes centre stage, but it’s not all aviation, as this activity folds out into a wonderful family event. Highlights include a driv-in movie, a Good Food NI market (offering some of the finest dishes of NI) and a Queen tribute band. A programme of flight displays will take place throughout the afternoon of Saturday 9th August, with the Aviation Village open from 10am (booking is necessary). Programme bonuses include lots of free activities, and of course attending the event will put you at the foot of the Mourne Mountains – one of Northern Ireland’s quintessential settings. For twins, triplets or any multiples (or the parents of), this festival is a rare and brilliant opportunity. Created to bring together identical, fraternal, young and old, twins, triplets, quads and their families in one location for one day from all parts of Ireland, the aim is to have a blast… while raising funds for chosen charities. Pony rides, bouncy castles, face painting and special twin events like the twins’ three-legged race and twins’ quiz make this event a must for families. 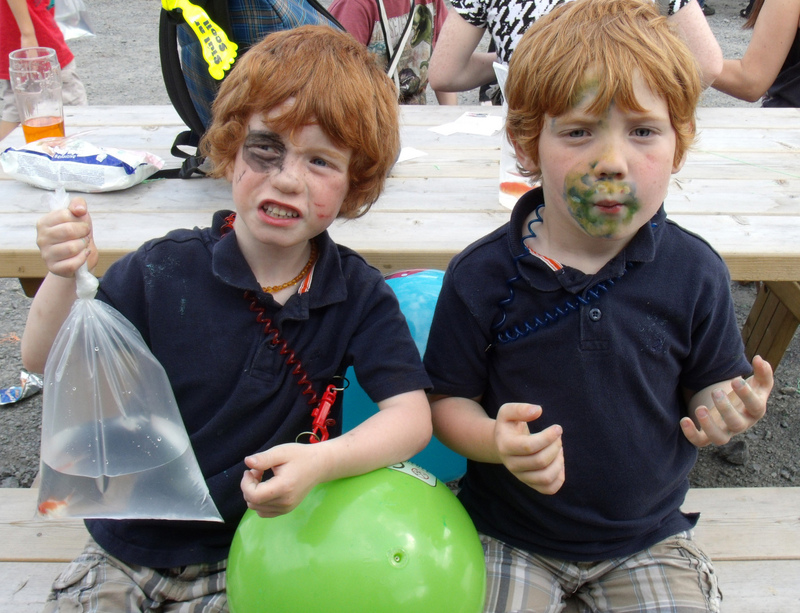 From the crowning of the King and Queen of ginger to most freckles per square inch, the Redhead Convention is a fun and fiery event for redheads everywhere. Ginger haired people from all over Ireland (and indeed further afield) and their friends and family visit this weird and wonderful convention for fun activities including redhead storytelling, ginger speed dating and a redist beard competition to name but a few. There’s also a kids’ zone for lots of arts and crafts, face painting and street performances so you can bring your tots too. The event works to raise funds for the Irish Cancer Society.